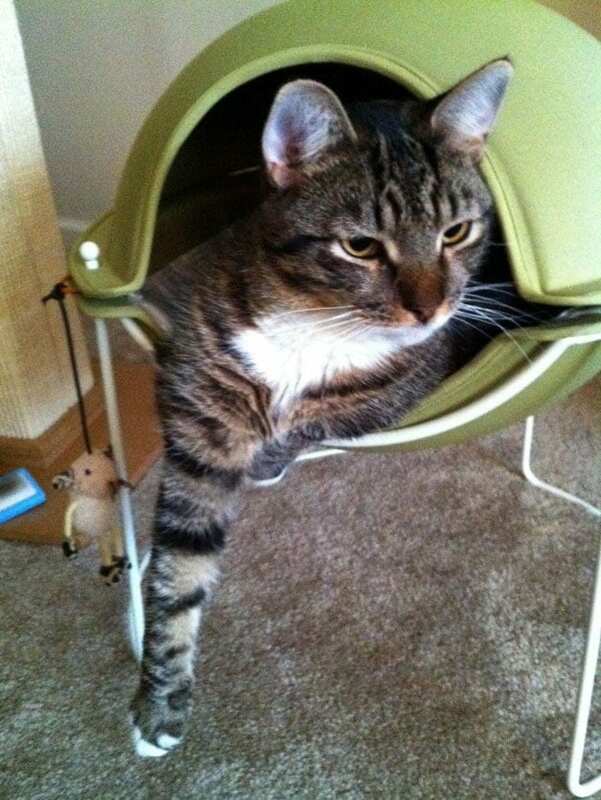 Cats shed. 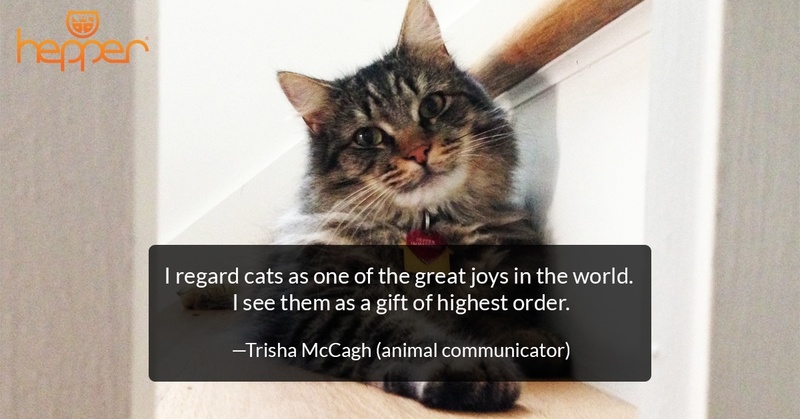 It’s a fact of life for most pet parents. Their hair covers our sofas, rugs, cat beds, and comforters. Luckily there’s an easy solution that reduces fur everywhere and gives you time to bond with your cat: choose the right cat brush and start brushing! 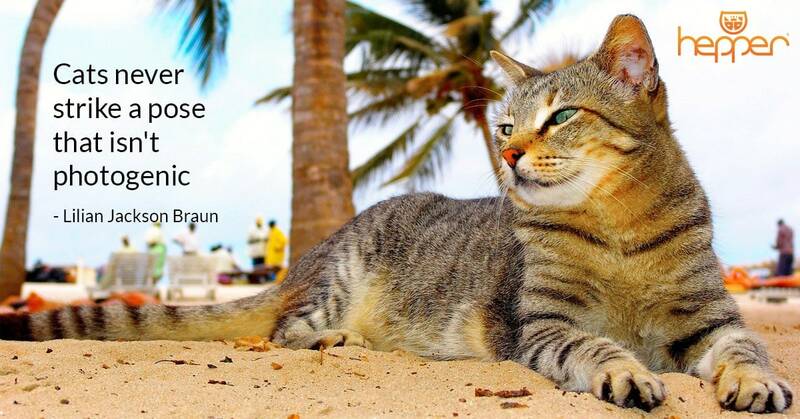 Brushing your cat can reduce shedding, keep your cat and your home looking clean and feeling comfortable. A daily once-over of your cat’s fur and skin can also alert you to any unexpected bumps or lumps that you might want to mention to the vet. Grooming your cat is important, and to spiff up your cat, you need the right brush. 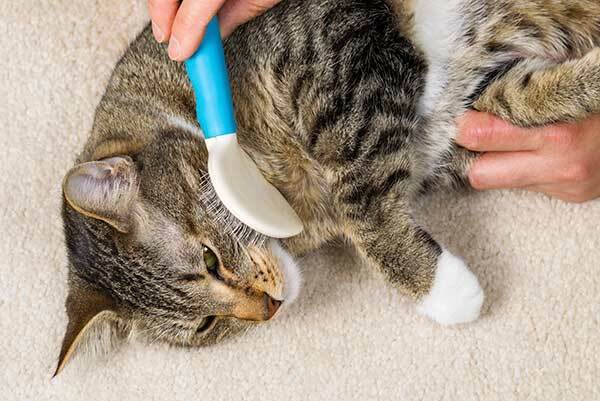 Here are our best tips on selecting the perfect cat brush for you and your pet. 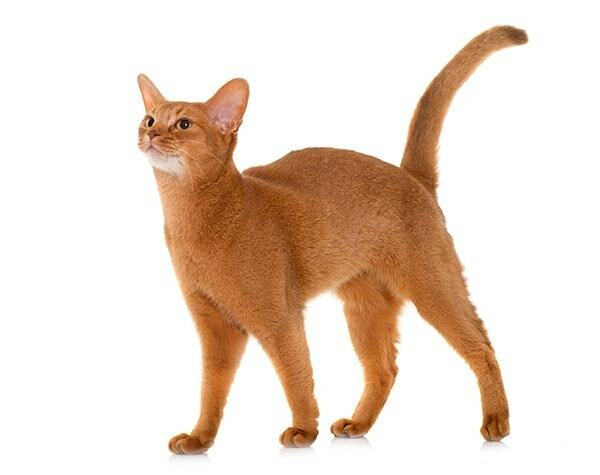 Although a short-haired cat like a Burmese or an Abyssinian does not need the same intense grooming regimen as their long-haired counterparts, these babies do require a little help keeping their coats fresh and smooth. For short-haired cats, select both a bristle brush and a short-tooth comb. You can buy bristle brushes with widely spaced teeth or closely spaced ones. When grooming a short-haired pet, choose a brush with closely spaced teeth. If your cat sports a particularly coarse coat, you’ll want to select a brush with stiff bristles but not a wire pin brush. Cats with short, dense coats especially appreciate a once-over with a good cat brush. While combs might seem best-suited for cats with long hair, nearly any pet enjoys the nice, scratchy feel of a pet comb. Plus, almost all cats like to have their hair parted and combed. Combing a cat’s hair doesn’t just make the animal feel good, but it also helps prevent tangles and mats that can be hard to get rid of. 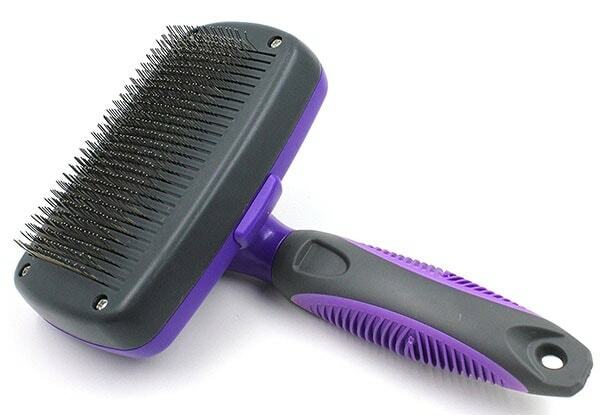 Both online retailers and brick-and-mortar pets stores carry steel combs and soft bristle brushes for cats. Except for rare breeds like Bengals and Sphynx, most cats sport an undercoat of down hair, a middle layer of awn hair, and a topcoat of guard hair. No matter the length of the coat, these hairs need brushing to maintain cleanliness and lustre. Brushing a medium-haired cat helps keep its coat silky smooth and free of tangles. Brushing helps remove hair from those spots cats find hard to reach with their rough tongues – places like their armpits and around their ears. Regular brushing also moves oil from the skin along the hair shaft, reducing dandruff and contributing a natural sheen to the cat’s coat. 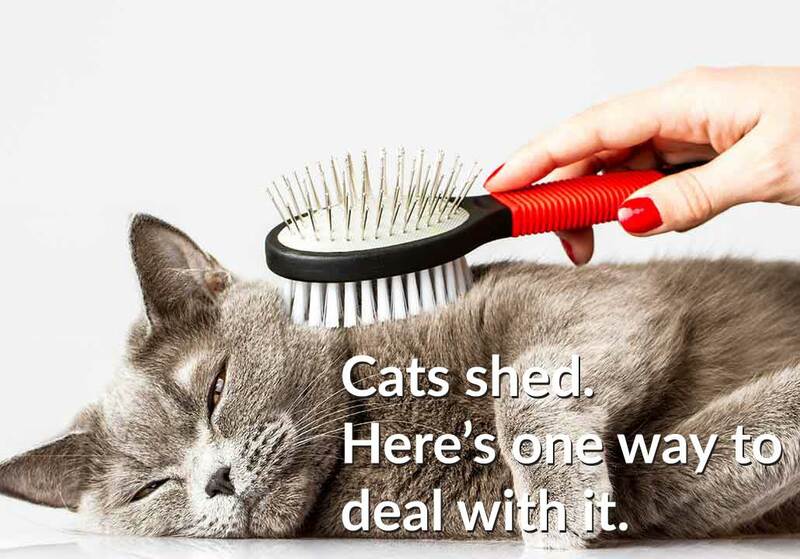 The best brush for a medium-haired cat could be a slicker brush. These brushes are usually rectangular and have tightly packed wire bristles. Use long, gentle strokes to brush your pet from head to tail. A slicker brush is an especially good tool for detecting loosely matted fur. If you run into a mat, use your comb to detangle the fur, and then return to brushing. Don’t forget about brushing the backs of the legs. Some pet parents follow the slicker brush with a soft bristle brush to snag any last bits of fur as well as to clean the face and ears. After using the slicker brush, clear out the bristles with the help of your trusty comb. Then, clean the brush with hot water and soap or a pet-safe disinfectant. When buying a slicker brush, make sure not to choose one with sharp bristles. A rake of the brush down your own arm will tell you if it’s pleasantly scratchy or painfully sticky. 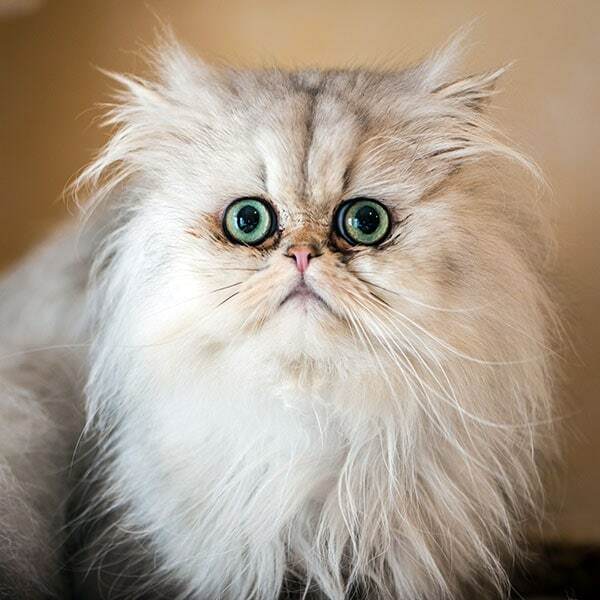 Grooming a Persian, a Ragdoll, or another long-haired cat is essential for the cat’s health and your home’s cleanliness. Many parents of long-haired cats swear by a steel comb, a slicker brush, and a Furminator. Others say that a Furminator is a bit harsh and recommend a butter comb instead. Whatever you use, be sure to groom your long-haired friend regularly. How often should you brush your cat? Most lovers of long-haired cats say daily brushing is best, but that depends on factors like your cat’s age, health, and lifestyle. Older cats, overweight animals, and cats with brachycephalic faces, such as the Persian, require more frequent beauty treatments than younger, slimmer cats do. You may also find that a cat with soft, silky fur needs more attention than a coarse-haired cat to prevent matting. Since cats self groom, it’s critical to keep a long-haired cat’s coat in good condition to reduce the size and unpleasantness of hairballs. 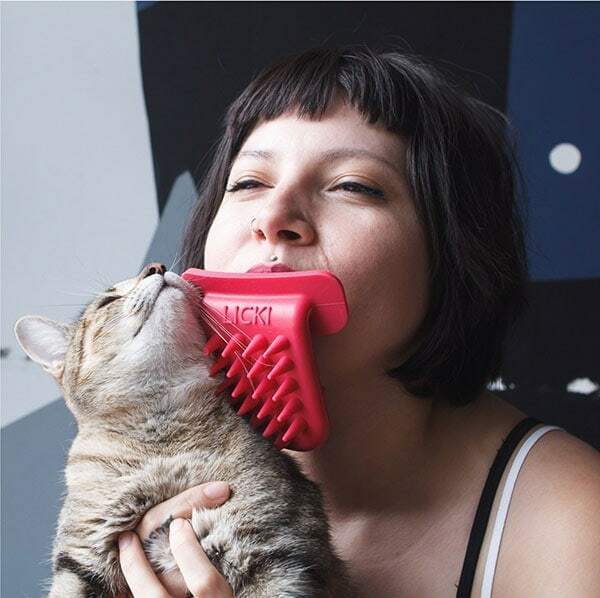 What about quirky cat brushes like The Licki Brush? This giant, tongue-shaped brush fits in a pet parent’s mouth and simulates the cat’s own grooming behavior. Speaking of novelty and natural brushes, one cat found his own novelty scratcher, and it’s as natural as you can get – a hedgehog. Check out this video of a cat who found his own scratchy brush in the form of his living hedgehog friend. Note that we are not recommending you buy your cat a hedgehog! We do, however, suggest you select a nice set of grooming tools, including a comb, a bristle brush, a slicker brush, and perhaps a detangler for your animal. 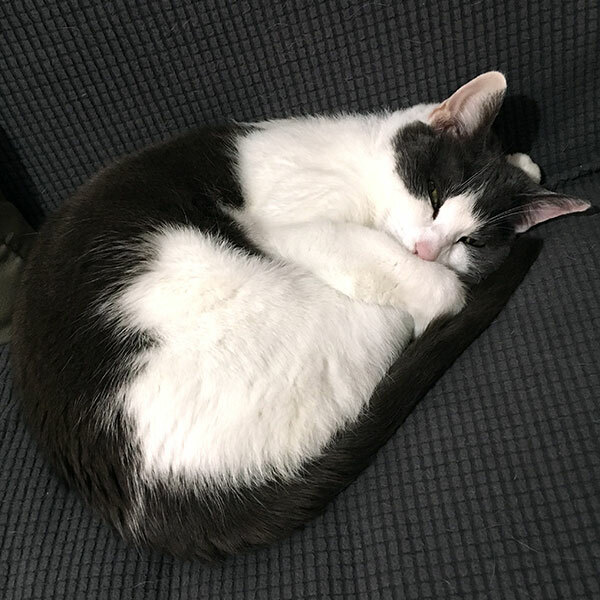 Give your pet regular beauty-shop style attention, and you might be amazed at how great both your cat and your sofa start to look. Do you brush your cat daily? Does it help? If you have any other tips to share, please leave a comment below! Just so you know: We are a participant in the Amazon Services LLC Associates Program, an affiliate advertising program designed to provide a means for us to earn fees by linking to Amazon.com and affiliated sites. Thanks for clicking the links - it helps us pay the rent!